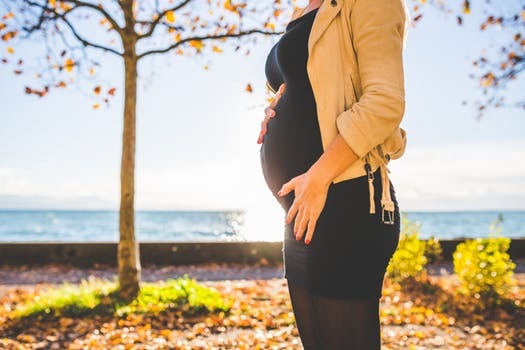 The NHS has recently announced it will be committing an extra £1.6million to help mothers with mental health issues during or after pregnancy. With maternal mental health problems affecting up to a fifth of all women, research has shown that peer support can help mums receive the emotional and practical support needed during this time. Andreja Mesaric discusses working with new mums on developing quality assurance principles specific to maternal mental health peer support. Pregnancy and transition to motherhood can be a vulnerable time for women’s mental health. Perinatal mental health problems affect up to a fifth of all women. Although postnatal depression is most common and most well-known, women can be affected by a range of other mental health issues around the time of pregnancy and birth, including anxiety, obsessive-compulsive disorder, birth trauma and post-partum psychosis. These can affect women who have a history of mental health problems as well as women who had never struggled with their mental health before. Lack of social support and isolation can have a particularly negative effect on the mental health of pregnant women and new mothers. There are several things that make the experience of mental health difficulties during this period of a woman’s life distinct. They can affect the mother’s ability to care for the baby and can lead to insecure attachment. This can impact on the child’s development and mental health in childhood as well as later on in life. Standard mental health advice for mild to moderate depression and anxiety, such as getting a good night’s sleep and regular exercise simply are not feasible when caring for a baby. With more severe problems, use of medication is not always straightforward as women have to consider the impact of the medication on the foetus when pregnant and the baby if breastfeeding. Women also face additional barriers to accessing support for their mental health during this time. Many do not share that they are struggling because they worry about being perceived as bad mothers. Some fear their babies will be taken away if they admit to becoming unwell. The baby’s sleeping patterns and lack of childcare can get in the way of attending scheduled appointments. Provision of specialist perinatal mental health services across the UK is uneven, and not all women needing hospital admission can get a place in a specialist mother and baby unit. GPs, midwives and health visitors often lack knowledge and awareness of perinatal mental health issues and do not always refer women on to appropriate support. We know this first hand from research we did with mothers a few years ago exploring decision making around anti-psychotic medication use in pregnancy. Access to peer support from other mums who have gone through similar experiences provides women with a safe space where they can be heard and receive emotional and practical support without judgement. It can help to normalise their experiences and gives them hope that they too can get better. The Maternal Mental Health Alliance and Comic Relief have commissioned the McPin Foundation and Mind to develop quality assurance principles specific to maternal mental health peer support. We are building on our previous work with Mind on the Side by Side project, where we explored peer support values and principles. Our work on maternal mental health peer support has attracted a lot of interest on Twitter and at our first consultation event. This has reassured us of the importance of this work. The resulting principles will aim to assure the quality and consistency of online and face to face peer support in perinatal mental health. We hope they will serve as a useful resource for peer support projects in ensuring that peer support promotes positive mental health outcomes, is safe for women and babies, and is accessible to all. They will also aim to provide guidance for how to respond when things do go wrong or become challenging. Over the next four months we will be continuing our consultation events where we will co-design the principles with women with lived experience of perinatal mental health problems, those involved in running peer support, health professionals, and others with an interest in the topic. These co-design events will be planned and led by Lived Experience Facilitators, who will also be facilitating focus groups with women who have used maternal mental health peer support. If this is a topic close to your heart you can keep an eye out for updates on our website. Our London event in July is now fully booked but we will be advertising details of our final event in September soon.